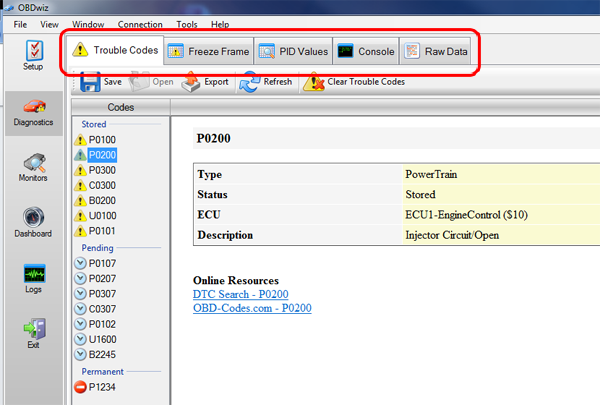 Click on OBDwiz below, and follow the prompts to install the software. The LED will turn yellow when you connect SX to the PC’s USB port. Red LED? Drivers were not installed properly. 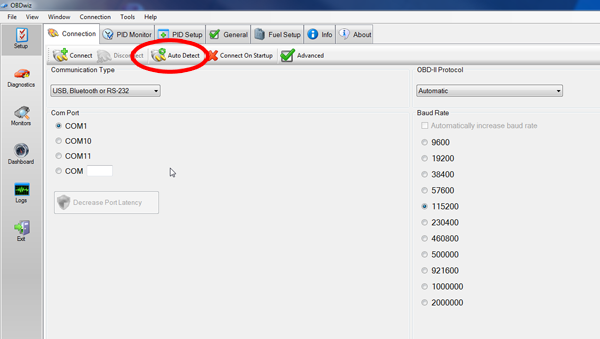 Note: If the drivers for SX do not install automatically, click on the link below to install the driver. 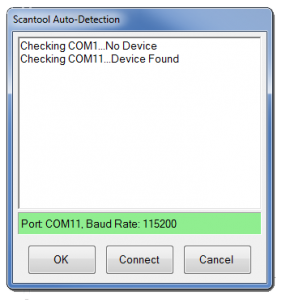 The diagnostic connector is always located in or near the interior dashboard of your vehicle. The diagnostic connector will usually be exposed, but sometimes it’s hidden under a decorative plastic cover, or behind an ashtray or coin tray. The most common location is below the steering column, just below the driver’s dash area. Don’t use excessive force, but make sure it fits snugly. On some vehicles the ‘ON’ position is marked with the Roman numeral ‘II’. 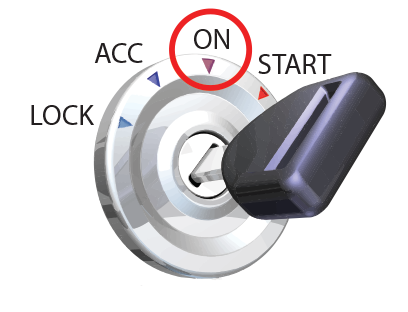 If there are no markings, turn the key clockwise and stop just short of starting the engine. The LED will turn green. Note: Vehicles with push button start: press the button without stepping on the brake pedal. Yellow LED? 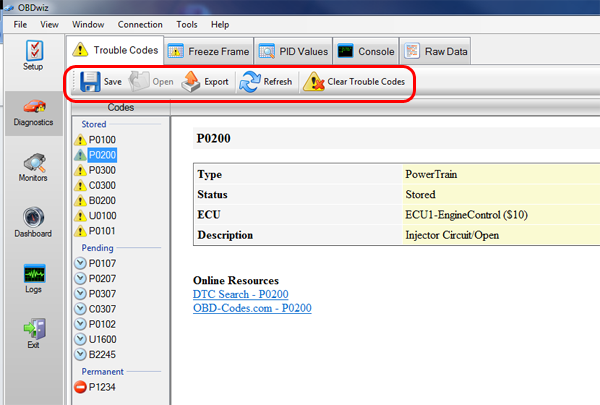 Check OBD port, auxilary port, and the cigarette lighter for blown fuses. 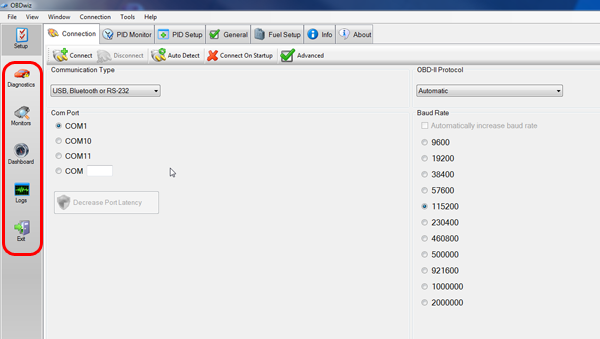 Click Start > Programs > OBDwiz > OBDwiz. When prompted, enter the license key. 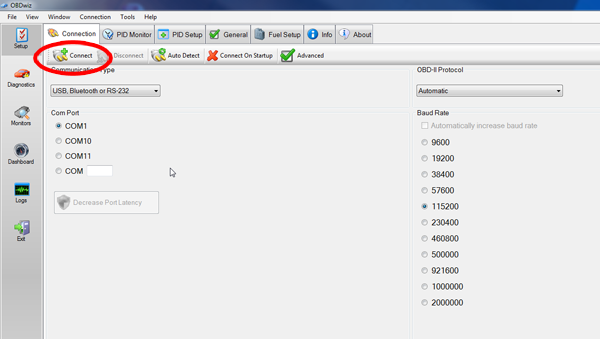 Your license key is printed on the Quick Start Guide included with OBDLink SX. 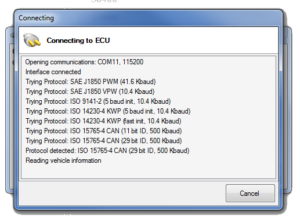 On many vehicles, there are multiple on-board computers (ECUs) that reside on the OBD-II network. 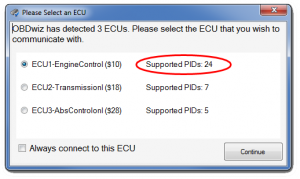 Since OBD-II protocol dictates that you can only connect to one ECU at a time, it’s recommended you connect to the ECU reporting the most Supported PIDs first (you can always re-connect and select an alternate ECU). Click ‘Continue’.